Luxury Cabo transportation service on call for the day or half a day. This service includes recent model vehicle, mileage, full coverage insurance (vehicle), traveler insurance (passengers), gasoline, bottled water and fully bilingual chauffer. 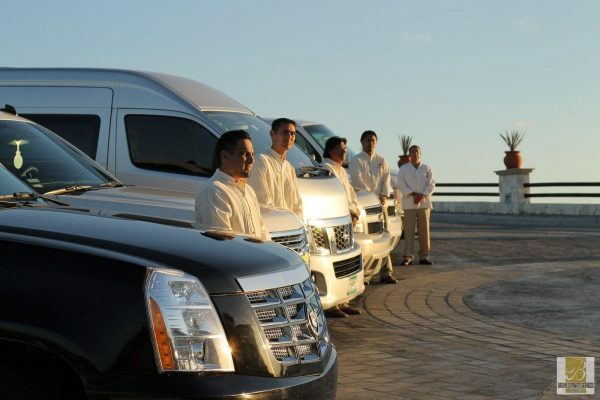 Your own bilingual driver in Cabo will take care of your party. Imagine riding around Cabo San Lucas or San Jose in a nice Car with friends and family with no worries about the crazy drivers in Cabo, just enjoy your vacations and the beautiful view of Los Cabos. Your Cabo Transfer at your service. The prices above do not include tax or gratuity. Hourly packages must be used in the same day. Packages don´t apply to airport transfers. These packages apply only to San Josè, Corridor, and Cabo San Lucas. Any places out of the reminding areas, the price is per hour plus tax. Prices below don´t apply for holidays such as Christmas and New Year´s Eve, please ask for prices to our representatives. Send us your itinerary to give you the best option for your party. We can also help you planning your daily activities.